Living in green and peaceful settings is a desire and the right of those who have worked hard to reach a certain status in life. Kolkata is a vibrant city of well-read professionals and has so many historic architectures from the days of the Raj. The modern real estate boom in the city is like an extension to the heritage and art of yesteryears. It is no surprise then that the Kolkata inhabitants look forward to exemplary architecture that is good to look at, great in functionality and affordable too. One such gem is the Diamond Navita project. The project is located in a coveted location in Vivekananda Nagar, only 200 m from the Madhyamgram Chowmatha. It is a grand and impressive structure that you cannot miss at all! For, it is a smooth blend of modern elegance with simple cuts and high performance. Diamond Navita project aims to celebrate life in a shared community space. The gated complex offers a fine lifestyle in secure and safe premises. There are open vast greens that are landscaped for an appealing look. Here there are play areas for kids and lots of sit-out zones for all age groups to connect with freshness of nature. Calm, serene and your very own bliss! 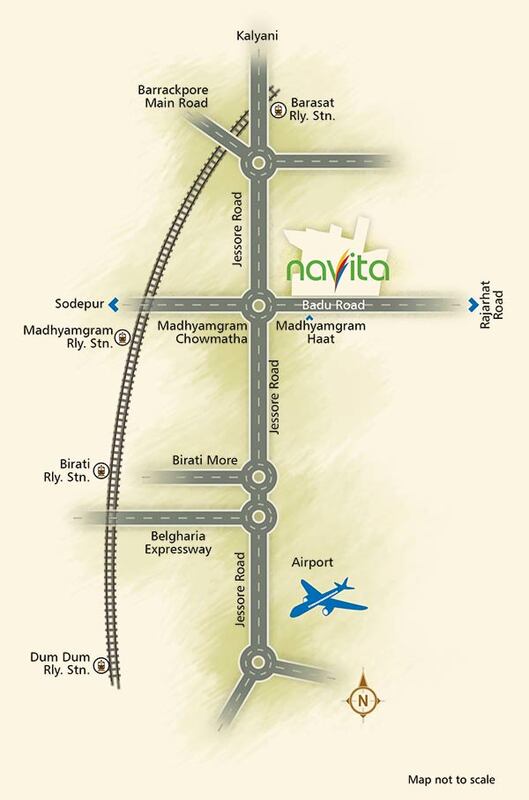 Jog or trot, walk or stroll, there is your own path here at Diamond Navita Vivekananda Nagar. A swimming pool, AC, a vibrant community hall, all mean that the residents here can enjoy celebrating all types of festivals and functions with unity and grace. It is well believed now that kids who live in close-knit communities grow up to be more tolerant, something very important in these days of low patience times. Meeting with like-minded folks is a positive edge in a great place like Diamond Navita Kolkata. There are many apartments which can suit the varying needs here. A total of 266 apartments adorn this complex, which is 65% open. 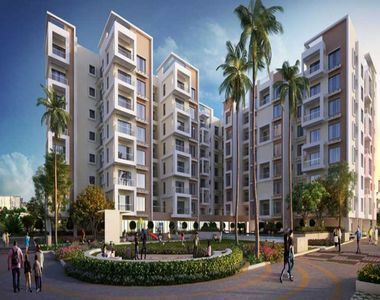 There are 2 BHK and 3 BHK apartments here, with sizes ranging from 989 sq. ft. to 1485 sq. ft. The homes are spacious and well-lit by sunlight and ventilated well. The Diamond Navita price starts at Rs. 27.2 lakhs onwards. Home loans have been approved by many banks and reputed financial institutions like Indiabulls, SBI, LIC HFL, PNB Housing, etc. Highly affordable and offering a great lifestyle, these are worth investing surely!